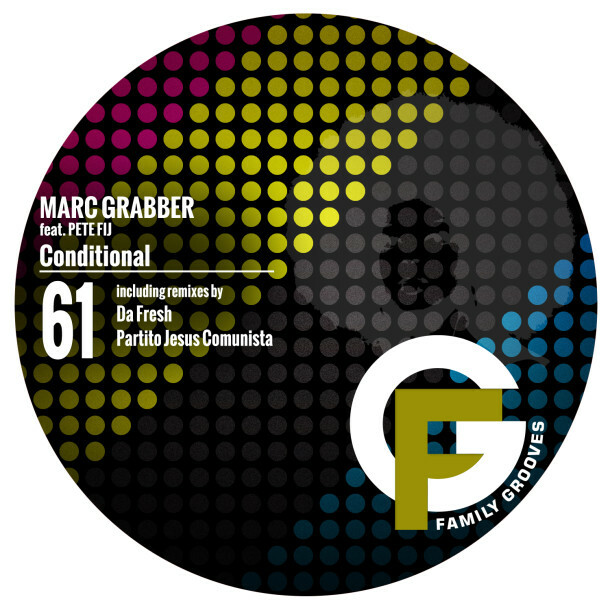 This time we proudly present Marc Grabber’s collaboration with Pete Fij, the legendary singer of the British band “Adorable” who, among others, also collaborated with the Swedish master of electronic sound – Tiger Stripes. The song “Conditional” has been developed for the last six months on the Worthing (UK) – Ljubljana (Slovenia) relation. The release “Conditional” contains remixes by two renowned producers; Da Fresh and Partito Jesus Comunista. The original is exploring the idea of “conditional love” – where one person loves another because of what they get in return. Da Fresh pimped it to a club version, while Partito Jesus Comunista expanded his interpretation in his unique style.